Addiction is strong. Getting away from it is hard. The cravings are intense. And sometimes you just need someone to come alongside you for a period of time and help you to keep from using. When you turn to a Christian drug rehab center for that help, you’ll usually find Bible-based teaching in a sober environment. However, anyone who has ever been in a church or spent time in close proximity to Christians knows that not everyone who names the name of Christ has behavior that lines up with Christ’s standard. This holds true for Christian drug rehab centers just as much as anywhere else. How do you know, when you’re entering into a faith-based environment, whether it’s going to be genuine or hypocritical? Here are a few of the things we would suggest that you look for in order to not get burned, disillusioned, and wounded by people who are merely acting in the name of Christ’s servants. This is the greatest evidence and most basic proof of an individual or an organization that is genuine. Do people love each other there? Do new people feel loved when they arrive? Jesus said that love was the great commandment, and he also said that everyone would know a true disciple by the fact that that person loved others. In other words, you can probe the genuineness of someone’s claim to be Jesus’s disciple by looking at the love that a person exhibits. There’s nothing worse than coming into a Christian environment and then finding out that it’s so judgmental and legalistic that you feel like you’re coming under condemnation all the time. A real Christian shouldn’t make you feel like a second-class citizen if you have tattoos or come to church not dressed in a suit and tie. In Jesus’s day, the religious elite were offended that he ate with tax collectors and sinners. If you find yourself among people who consider themselves religious elite and you notice that they’re looking down on you, you can quickly conclude that that’s an unhealthy environment that Jesus himself would condemn. One of the best pieces of evidence of a place where people possess the real version of Christianity is that you find people who possess humility and don’t exhibit pride. Pride leads people to be argumentative and combative and think they’re better than everyone else. Humility leads people to apologize and ask forgiveness when they’re wrong, receive correction willingly, and turn from a bad course of action. True humility is rare, but it is refreshing when you find it, and you probably won’t find much of it in a hypocritical setting. In your relationships with one another, have the same mindset as Christ Jesus: Who, being in very nature[a] God, did not consider equality with God something to be used to his own advantage; rather, he made himself nothing by taking the very nature of a servant, being made in human likeness. And being found in appearance as a man, he humbled himself by becoming obedient to death—even death on a cross! 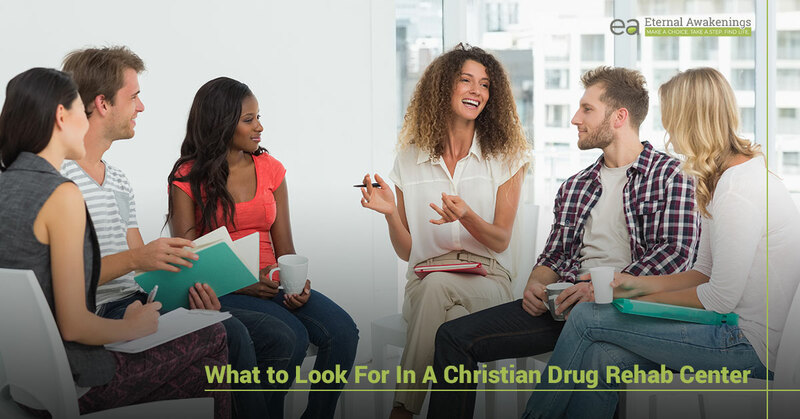 How much prayer happens at the Christian drug rehab center that you’re considering? When people pray, does it sound scripted, brain-dead, and “official,” like someone is rattling off a formula? Or does it sound like someone is genuinely communicating with their Father in heaven? Do things get done by mere human effort, or is there a spirit of dependence on God for every action that leads to asking for his help? Steer away from a place that claims to be Christian, but has “dead” prayer. While there are many more qualities that characterize a true Christian than the ones we’ve listed here, these are some of the most prominent ones that you’ll be able to see right away. Your personal drug rehabilitation shouldn’t have to progress in spite of people being hypocrites around you; instead, it should be helped and built stronger by the genuineness, kindness, and helpfulness of the staff. Note: It’s worth pointing out that in any rehab setting, you can’t help running into other guests who come from all backgrounds and walks of life, and each one is in a different stage of their recovery. While the staff should be exhibiting a consistent testimony of genuine Christian behavior, you’ll have to extend grace and patience to those around you who may be at the very beginning of their path towards transformation and sobriety. That being said, if you perceive that the people who have been on the program the longest are basically identical to the ones who have just come in the doors, you can probably accurately assume that the quality of the teaching is less than it should be. We hope you have found this list useful. Just because there are hypocrites out there doesn’t mean that the genuine version of Christ-like living doesn’t exist. The very fact that we are all indignant when we encounter a hypocrite reveals that we instinctively know that the “real deal” is completely different than that. Come to Gonzales, TX and see for yourself what it’s like to encounter genuine people and faith-based teaching in our Christian addiction recovery center.